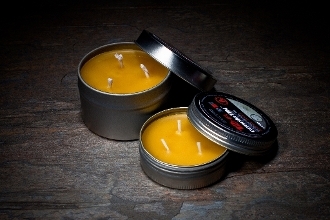 The hot burn wick provides a flame height of 1-2". Use this candle for drying out tinder, boiling water, or warming an emergency blanket. Exercise caution when using all three wicks as the tin becomes hot to the touch. The hot burn wick will boil 8oz of water in 18 minutes.